Banking can be defined as the activity of accepting the deposits from the general public the entities, and then lending that money to earn profits. The article Banking Types presents the several types of banking in India. Banks can undertake certain eligible financial services i.e. the para-banking activities either departmentally or by setting up subsidiaries. The banks can form a subsidiary company for undertaking the types of business which a banking company is otherwise permitted to undertake, with prior approval of RBI. Under the provisions of Section 19(1) of the Banking Regulation Act, 1949, banks may form subsidiary companies for undertaking types of banking business. Prior approval of the RBI should be taken by a bank, to set up a subsidiary company. Banks can form subsidiary companies for undertaking equipment leasing, hire purchase business and factoring services. Banks can also undertake equipment leasing, hire purchase and factoring services departmentally. Credit Card and Smart/Debit Card Business. Money Market Mutual Funds (MMMFs): Bankscan set up this after the approval from RBI. Entry of banks into Insurance business. Underwriting of Corporate Shares and Debentures. Underwriting of bonds of Public Sector Undertakings. RBI observed that some banks/their subsidiaries were providing buy-back facilities under the name of ‘Safety Net’ Schemes. Under such schemes, large exposures are assumed by way of commitments to buy the relative securities from the original investors at any time during a stipulated period at a price determined at the time of issue, irrespective of the prevailing market price. The banks that place funds only in risk less securities. The main thinking that goes behind for this is that since their investment is mainly in risk less securities they will not fail. Narrow banks are safe banks. By not lending, and using their deposits to buy government bonds, they carry virtually no credit risk. There is no danger of non-performing loans and frequent injections of equity capital that has to be funded by taxpayers. The Tarpore Committee gave the recommendation to convert weak banks into narrow banks. The committee has proposed that the incremental resources of these narrow banks should be restricted only to investments in government securities. Offshore Banking Unit’ means a branch of a bank in India located in the Special Economic Zone and holds an authorization issued under clause (a) of sub-section (1) of section 23 of the Banking Regulation Act, 1949 (10 of 1949). An offshore banking unit (OBU) is a financial service unit (normally a branch or subsidiary of a non-resident bank), which plays an intermediary role between non-resident borrowers and lenders. In India, these are found in Special Economic Zones. Offshore banking units are allowed to accept deposits from foreign banks, from some onshore banks that permit deposits and other offshore banking units, and the OBU may make loans to non-resident companies as well. They do not carry retail business, but generally provide wholesale banking services — project financing, syndicated loans, issue of short-term and medium-term instruments, etc. The concept of green banking has emerged and is recognized as an important strategy to address sustainable development concerns and creating awareness among people about environmental responsibility. Green banking has two dimensions. First, the way the banking business is being done –is it paperless or not. The second dimension relates to where the bank puts its money. Green Banking entails banks to encourage environment friendly investments and give lending priority to those industries which have already turned green or are trying to go green and, thereby, help to restore the natural environment. Green banking generally refers to how environmentally friendly the bank is, and how committed to green and ethical policies the banks are. Note: Green Banking” can be called as the method of finance by the banks to make the industries grow green and in the process restore the natural environment. This concept of “Green Banking” will be mutually beneficial to the banks, industries and the economy. Retail banking refers to the dealing of commercial banks with individual customers, both on liabilities and assets sides of the balance sheet. Fixed, current / savings accounts on the liabilities side; and mortgages, loans (e.g., personal, housing, auto, and educational) on the assets side, are the more important of the products offered by banks. Related ancillary services include credit cards, or depository services. (c) multiple customer groups (consumer, small business, and corporate). Wholesale banking refers to banking services between merchant banks and other financial institutions. In this the banks deals with larger clients, such as large corporations and other banks. It refers to doing banking business with industrial and business entities mostly corporate and trading houses, including multinationals, domestic business houses and prime-public sector. It is also called corporate banking. It is the borrowing and lending of funds to other banks, large multinationals and even government agencies. It focuses on corporate, i.e. Companies, firms, proprietorship concerns, Public Sector, Institutions, societies, Trusts and clubs. Universal Banking is a multi-purpose and multi-functional financial supermarket (a company offering a wide range of financial services e.g. stock, insurance and real-estate brokerage) providing both banking and financial services through a single window. As per the World Bank, “In Universal Banking, large banks operate extensive network of branches, provide many different services, hold several claims on firms(including equity and debt) and participate directly in the Corporate Governance of firms that rely on the banks for funding or as insurance underwriters”. Universal banking, popular in developed countries, offers one-stop shopping for all financial products and services. A wide range of financial services such as commercial banking investment banking, development banking and insurance are available to the customer under one roof. Investment products like savings accounts, certificates of deposits, mutual funds, credit cards and loans are within the reach of the customer. Islamic banking is a banking system in accordance with the Shariat. In Islam, money has no intrinsic value –money, therefore, cannot be sold at a profit and is permitted to be used as per shariat only. The Islamic Law or Shariat prohibits paying any fee for renting of money (called riba) for specific periods of time. 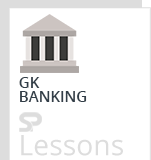 Merchant Banking is a combination of Banking and consultancy services. It provides consultancy to its clients for financial, marketing, managerial and legal matters. Consultancy means to provide advice, guidance and service for a fee. Ministry Of Finance in India defines Merchant Banker as “any person who is engaged in the business of issue management either by making arrangements regarding selling, buying, or subscribing to the securities as manager, consultant, adviser in relation to such an issue management”. In general the merchant banks are the financial institution which provides financial services, solutions, and advice to corporate houses.